Styled with ray pant and artem sweater . 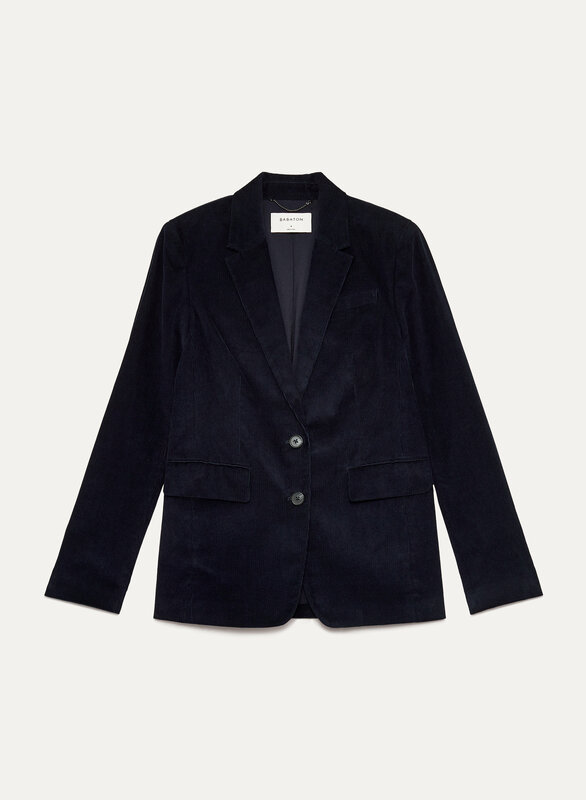 This version of the Taylor is made with a cotton corduroy that has gentle stretch. 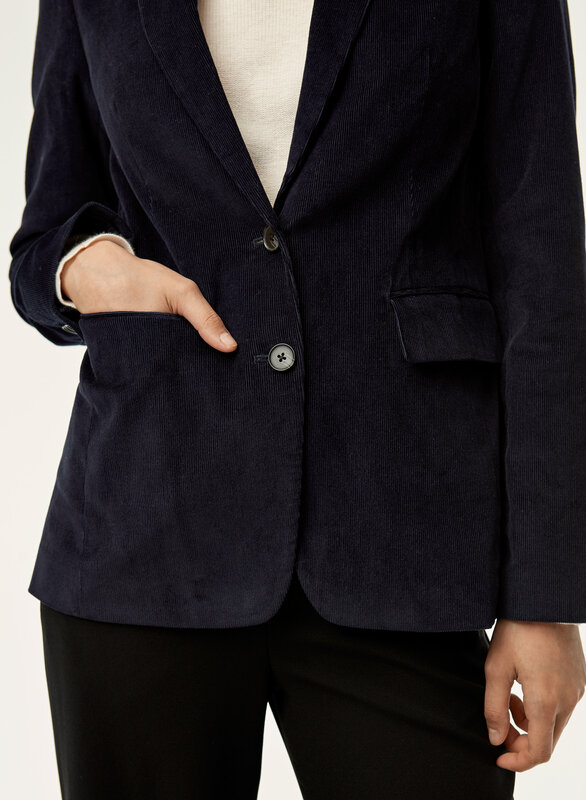 The narrow lapel looks refined and feminine, while princess seams and light shoulder padding create a flattering shape and a tailored fit. 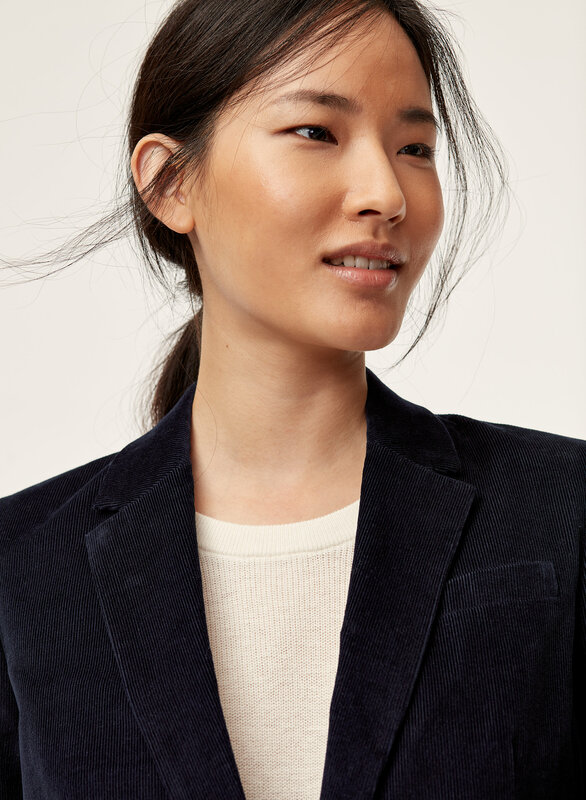 Love this blazer...pretty casual and I use it for every day, but it can also be dressed up to look professional. I'm normally a S/M in shirts/blouses (an XS in Babaton coats) and ordered a 6 which fits perfectly. It's very soft and comfortable. I love the material (not thick), the fit is perfect for me, the colour is classic navy and it goes with so many things. Looks great with light denim jeans. Nice texture and fit great on me. 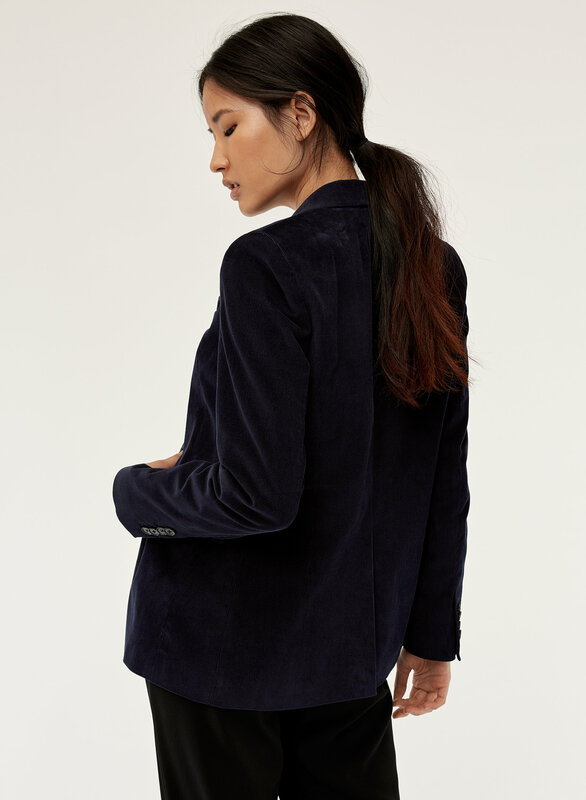 Really love this blazer, the corduroy is a great addition to a wardrobe with otherwise plain blazers. Small shoulder pads give a beautiful structure to the jacket. I bought the red which is a bit of a burnt red colour that goes great with all neutral colours. Does fit true to size but I typically go up a size in jackets/blazers to account for the layers underneath. This is a beautiful blazer. Looks great with jeans, or dress pants. I ordered the rust color, very nice fall/winter shade. Love it paired with black jeans!